Eric and I were privileged to lead three breakout sessions for dozens of leaders at a regional Lutheran leadership conference in October. And we participated in the National Discipleship Forum in Nashville in November. We look forward to more opportunities, as the Lord opens doors, in the months to come. 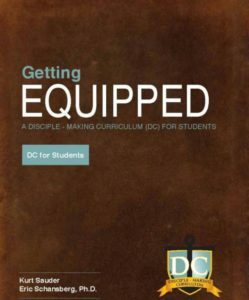 Over the summer, we completed a resource for adults and students called Getting Equipped or DC28:20. It’s a 36-week guide to study, read, and memorize the Scripture. Participants study about twohours per week and come together for a weekly, facilitated meeting. The title is based on our passion for people to “get equipped” and the subtitle is based on the “teaching them everything” portion of the Great Commission in Matthew 28:20. And we just published two books on ministry! 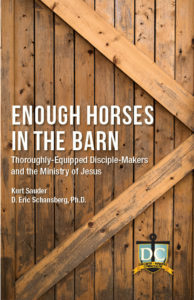 Enough Horses in the Barn is for pastors and church leaders. In this book, we want to communicate a vision and discuss strategies to develop Kingdom workers in the local church. 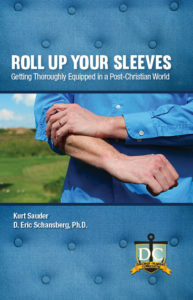 Roll up Your Sleeves is derived from Enough Horses in the Barn, but is aimed at lay people who need to “get in the game” of Kingdom work. In this book, we want to communicate a vision and a plan for believers to become disciples and disciple-makers—to become all that God wants for them and from them.